Installment number 3 of the Dublin, Our Playground series is specially inspired by MOTHER NATURE. Today the weather in Dublin could be described in a variety of ways, starting with Rainy. With expected appearances by hailstones. And lots more rain. Did I mention it's only 10am?! I'm sure you are understanding the picture I'm trying to create- the weather this morning is pretty darn miserable. That fresh air- breath it in! Increased levels of Vitamin D! It's free! No cost to walk through your local park! Exposure to nature! Listen to those tweeting birds! I'm a huge fan of getting outside, but sometimes such as a day like today, the Dublin weather just won't allow for outdoor playtime. But even when the rain is coming down hard, we still like to get out of the house and enjoy a change of scenery. Here are some of the places you might find us at instead. You want to tire your toddler out but can't get outside? Drop everything and head straight to a gymnastics open play session. There is no faster route to naptime than 2.5 hours of trampoline jumping, tumbling through tunnels, balancing on beams and swinging from the uneven bars. Trojan Gymnastics, Ballyogan Road in Carrickmines, Dublin 18. Drop in Bambinos & Tiny Tumbler sessions. €5/ Child includes parent-supervised gym time, tea, coffee, biscuits and fresh fruit. If you can't get outside to enjoy the great outdoors, why not pick up a book and transport yourselves to the sandy beaches along the Mediterranean Sea, the deserts of the Middle East or the Caribbean Tropics. With 8 local branches, there is a wonderful selection of indoor spaces to read a book or attend a storytime or toddler yoga class. 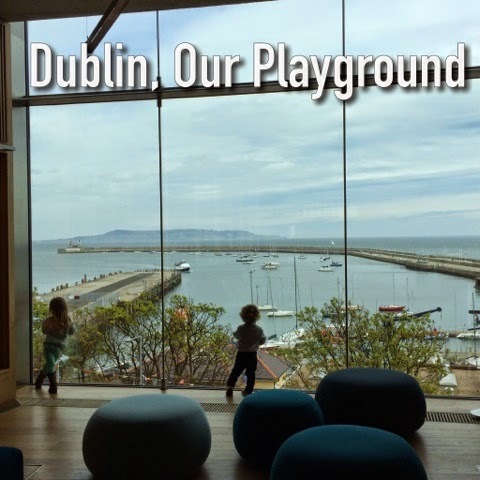 And while we are big fans of the charming little Cabinteely library, with it's cosy children's nook, we also love the brand new, dlr LexIcon Library in Dun-Laoghaire. 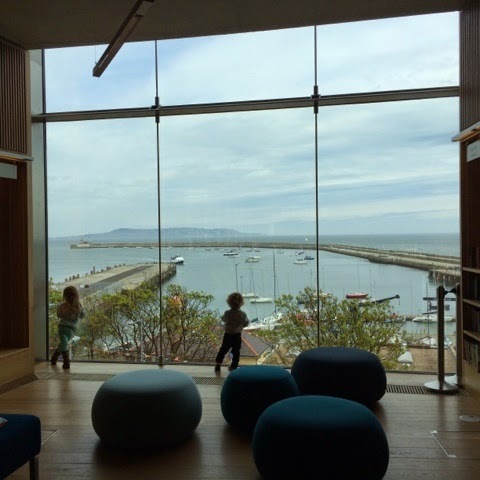 The LexIcon has an enormous children's area on the second floor, with a floor to ceiling glass window, showcasing a gorgeous view of the sea. The kids enjoy sitting and watching the boats entering and exiting the harbour nearly as much as they like a new read. On Tuesday mornings at 1045am, you will always find Harry and I at our local Parish Centre. A basic hall gets a kid-friendly makeover with some toys and playthings scattered throughout the room, a bubble machine churning out loads of popping opportunities and featuring a little sing-song and parachute play too. This group of parents and minders are some of the kindest people I've met since moving to Cabinteely and while it's good for the kids to get some social interaction in, I'm just as grateful for some of the chats I've made over a hot cuppa. St. Brigid's Pastoral Community Centre, Cabinteely Village, Dublin 18. There's a whole crop of these play spaces and play cafes around the city. These cozy, friendly environments are kid-safe and offer a chance for your child's imagination to be inspired. 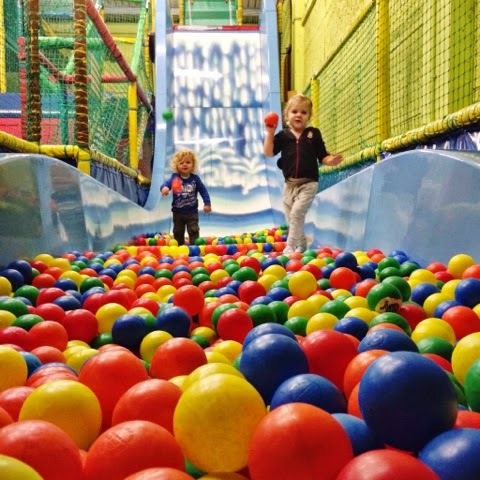 Most of the places include a soft play area, ball pits, dress-up clothes, toddler vehicles, huge selection of toys, plus seating areas for parents. Admission to these venues typically runs around €5- €6 per child and added expenses include any food or drinks that must be purchased through the onsite cafe. Besides viewing the usual glass displays, children can touch a starfish or a sea anemone and receive a medal for particiaption, view the piranhas as they're fed their lunch, or watch the octopus handle a ball. 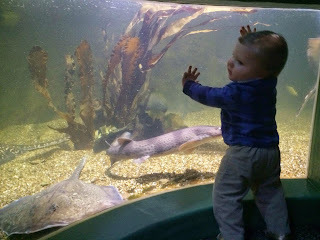 The Sea Life Center in Bray is a smaller aquarium where kids can run through the maze-like levels. In the eyes of my 3-year old, it's the most exciting place to spend a rainy morning indoors. In addition to these indoor venues, don't forget to check out your local museums too. You can read more about some of Dublin's fantastic & free national museums in my previous blogpost, here. I look forward to those sunny, summer days again (fingers crossed that they come soon! ), but we'll surely keep ourselves busy with lots of places to visit. To our friends in Dublin, where do you like to hang out when the weather doesn't allow for outdoor play? I'd love to hear your recommendations, especially since it's always lovely to try somewhere new! Now, where shall we head today...? Love this post, especially the library, hope to visit it soon! Yes, the library & its location are wonderful!